Narbonne is a pleasant beach city in the Occitanie region in the Aude department. Once a prosperous Roman port, the city is now about 9 miles from the current shores of the Mediterranean. Narbonne has a charming historic core featuring a fine Place de l'Hôtel de Ville, the city hall square, the 13th century Gothic Cathedral Saint-Just, and a Roman grain storage operation called the Horreum. 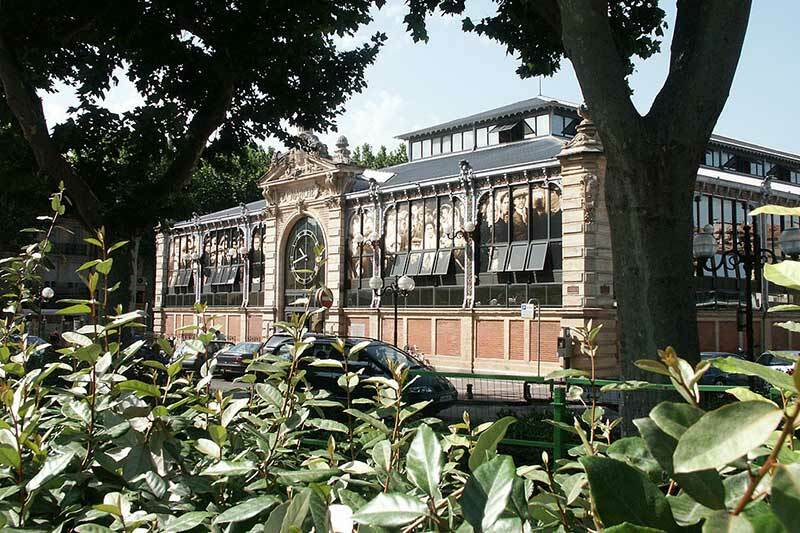 Narbonne's justly famous covered market, Les Halles, has been the main food and wine market for over a century. It's one of the best in France. Near the canal, the market is open every morning from 7 am to 1 pm. Nearby is the Musee Lapidaire, the Lapidary Museum housed in the former church of Notre Dame de Lamourguier, once a 13th century monastery and a very interesting piece of southern Gothic architecture. The museum isn't about gemstones, it's about Roman carved rock that once was re-used in the town's fortifications. The Narbonne Archaeological Museum is inside the 11th-12th century Palais Vieux in the Place de l'Hôtel de Ville. If you're nostalgic over real telephones, Narbonne also has a Musee de Telephone, a museum of the telephone. See these attractions and more on the map below. Zoom out and see the position of Narbonne in the very interesting territory of the Aude. Running through Narbonne is the Canal de la Robine which links the city to the Canal du Midi and the Aude river. Narbonne was once a thriving port city, but now is located 15 km from the sea. Beach goers don't need to fall into despare, a scenic drive through the Massif de la Clape natural reserve brings you to blue flag Narbonne Plage, where you'll find 5k of find, sandy beach as well as a marina. Good Eats: Gourmets will want to check out l'Ecailler Gourmet, marked on the map. From the Gare de Narbonne railway station you can get direct connections to Paris, Barcelona, Toulouse, Marseille and many smaller regional cities and villages. The closest airport to Narbonne is Béziers Cap d'Agde Airport (BZR / LFMU), 47 km away. Click here for current train and taxi fares from the airport to Narbonne. Narbonne to Carcassone, a starting point for an exploration of Cathar Country located to the west, takes 32 minutes by train and about 37 minutes by car. From Paris the drive is 7 hours and 6 minutes, a little faster than the normal train, but the TGV will get you there in 5 hours and 40 minutes. Close to the train station (500 feet away) is the highly rated Will's Hotel. To immerse yourself in historic Narbonne, the 17th century Domaine LaCoste, is very highly rated. 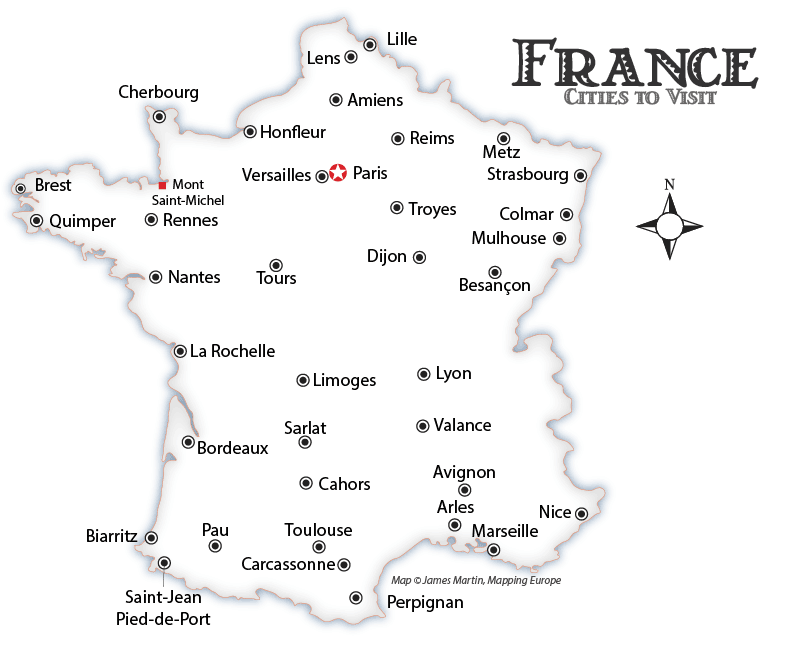 For other places to stay, enter Narbonne in the box and choose your own hotel or apartment. From Narbonne, tracks lead to many fascinating destinations in France. Page modified: February 24 2018.